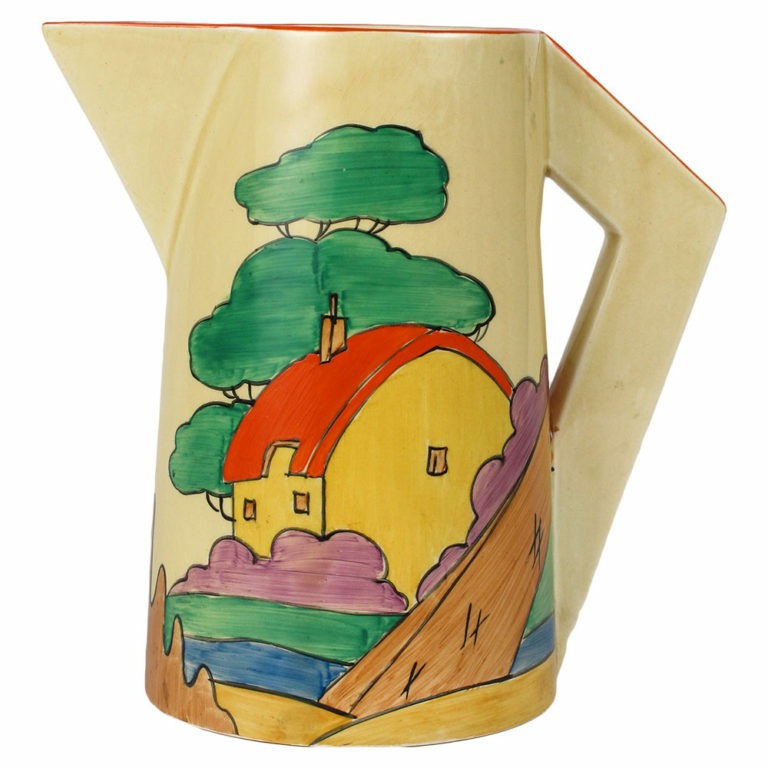 Clarice Cliff was the diva of British Art Deco ceramics and a pioneering woman in the Staffordshire Pottery industry. She was the first woman to be appointed Art Director of a major company and she designed both the shapes and the patterns for commercial tableware, traditionally a male domain. Clarice was born in the pottery town of Tunstall in Staffordshire in 1899, the fourth of seven children from a poor working-class family. 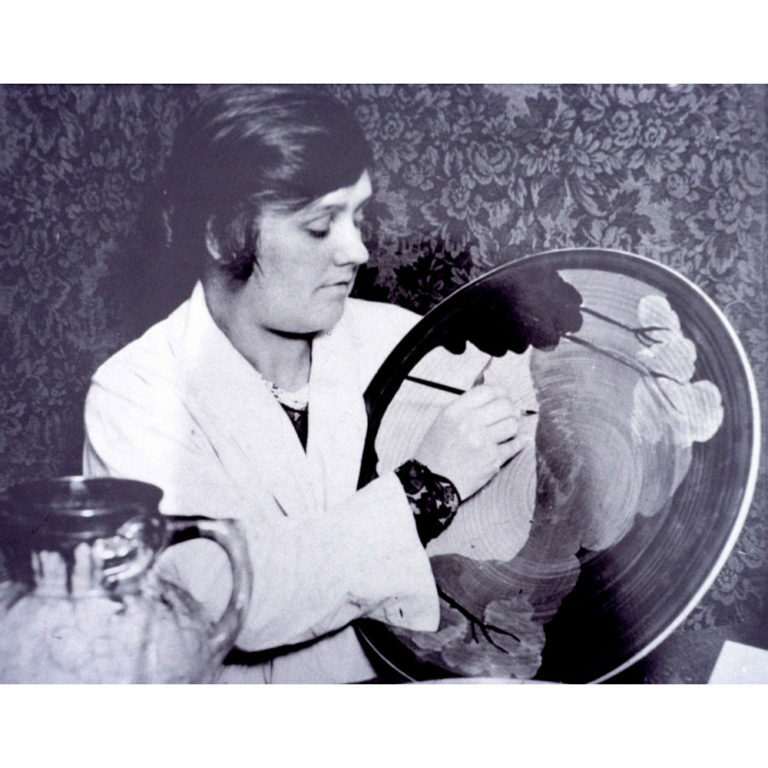 She left school at thirteen and was apprenticed to two local potteries before joining the decorating department at A. J. Wilkinson’s Royal Staffordshire Pottery. There she was discovered by the owner of the company, Colley Shorter, who took both a personal and professional interest in Clarice. 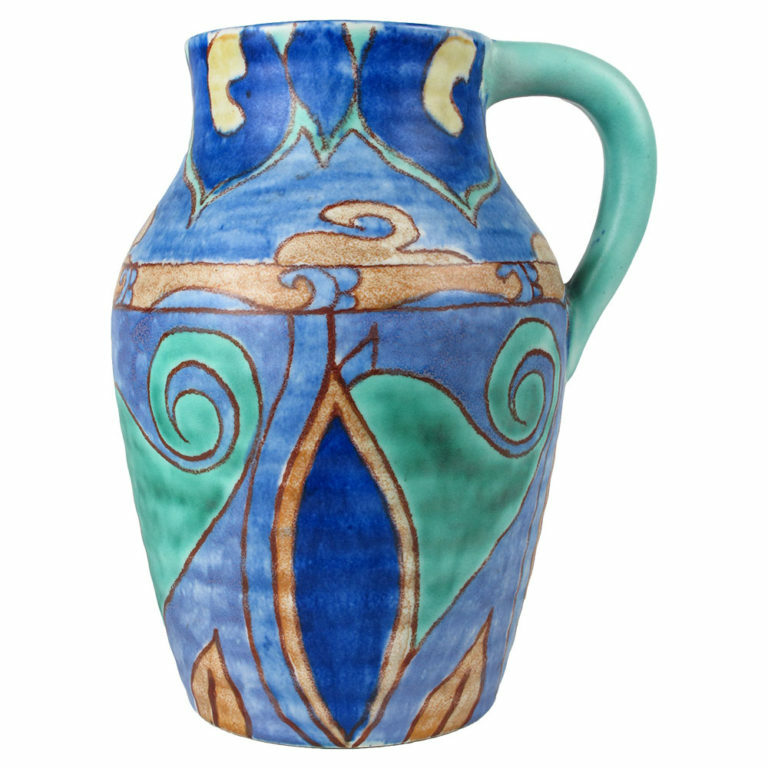 In 1922, her ambitions to be a designer were recognized and before long she had her own studio at Wilkinson’s Newport Pottery. She traveled with Colley Shorter to Paris where she absorbed the new Art Deco style and he sent her to study briefly at the Royal College of Art in London, where she picked up on new trends and ideas. 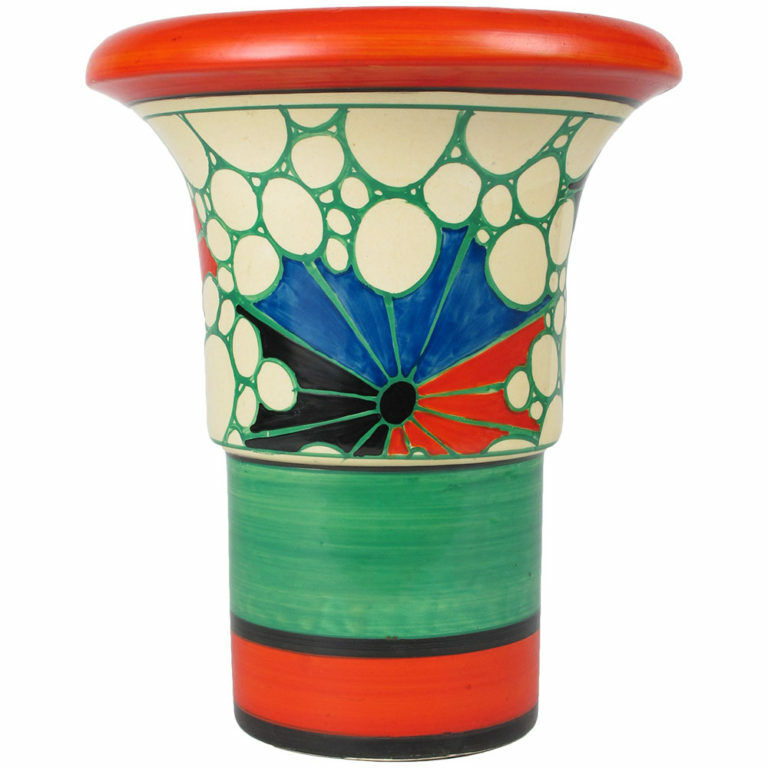 Egyptian motifs were popular in the Art Deco period, following the discovery of Tutankhamun’s tomb, and Clarice mimicked elements from the pyramids craze together with iconic images of the rising sun and stylized trees, which appeared on all types of domestic goods from vases to radios to the front doors of suburbia. 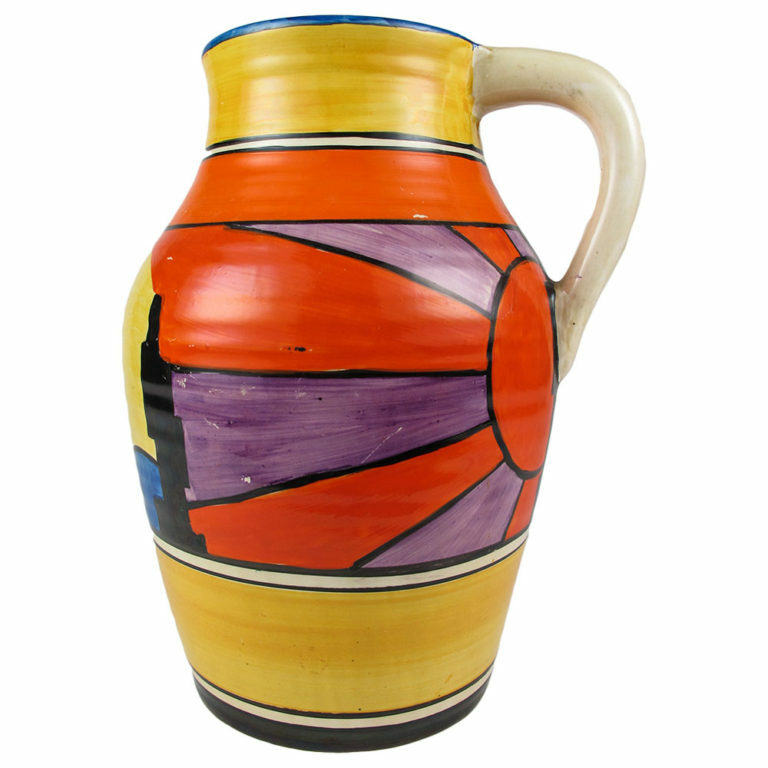 Clarice was also influenced by Cubist and abstract modern art as shown by her bold geometric patterns which began to appear in 1927 with evocative names such as Luxor, Sunray and Mondrian. Clarice’s first major success at Wilkinson’s was designing patterns for some seconds whiteware to make it saleable. 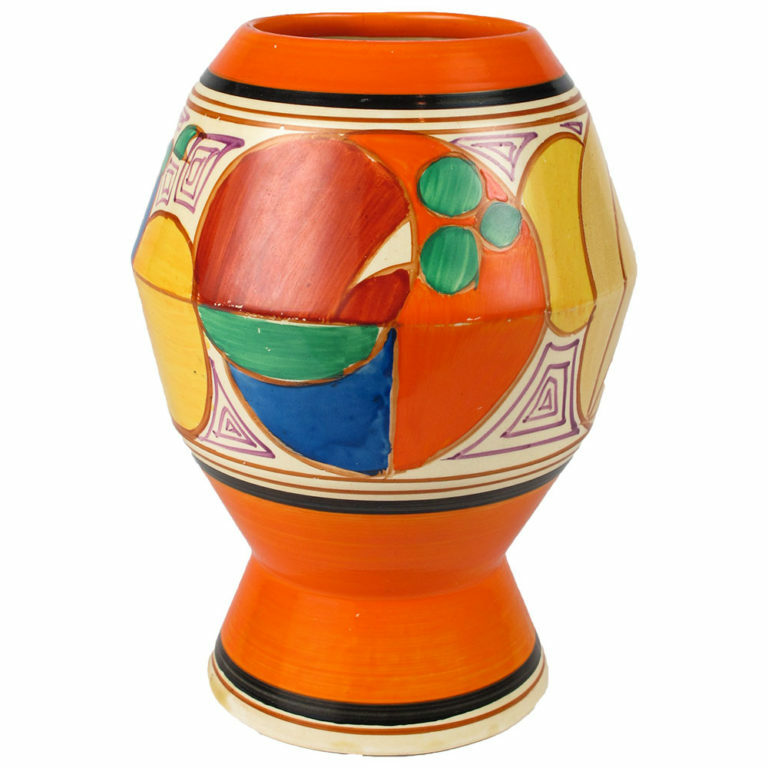 Her team of decorators painted eye-catching, colorful patterns which became known as Bizarre ware. 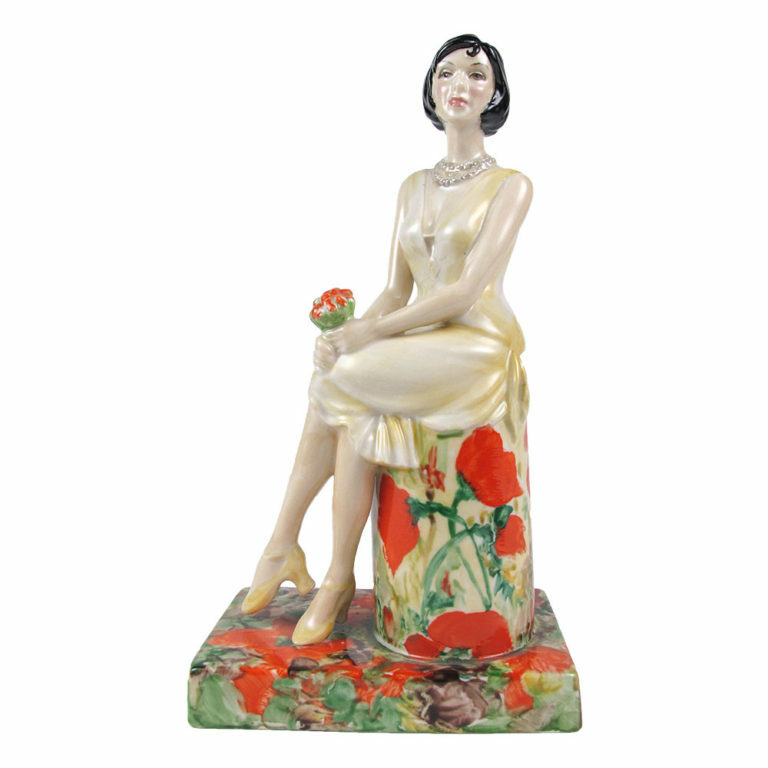 The overwhelming reception from the British public soon made Clarice Cliff a household name. 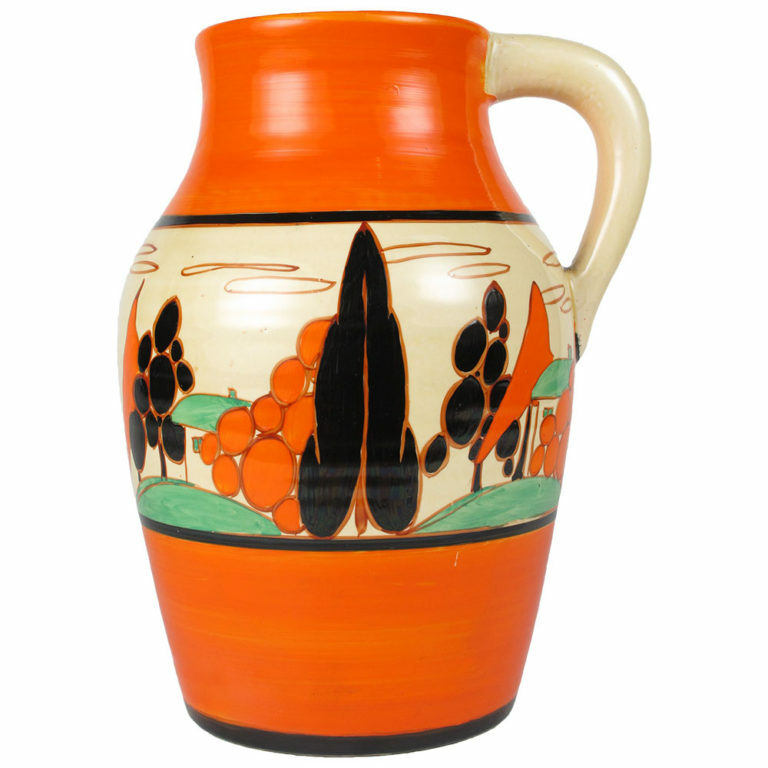 Her enthusiasm, innovation and natural flair combined with Colley Shorter’s support and business acumen ensured that Bizarre Ware by Clarice Cliff was ahead of its time as one of the earliest ‘designer’ labels. 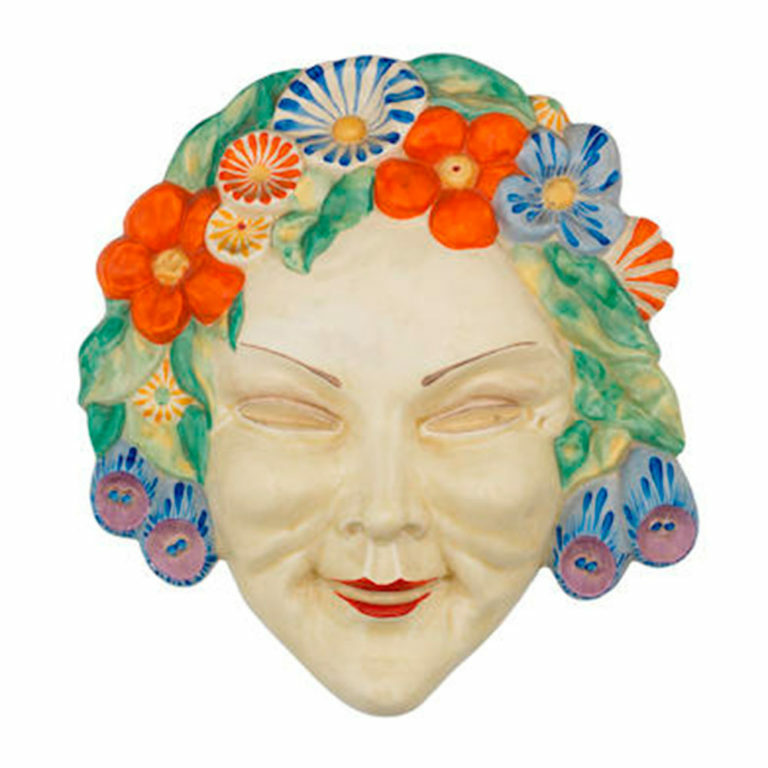 Clarice was appointed the company art director in 1930 which was a meteoric rise in the male-dominated world of ceramic design. 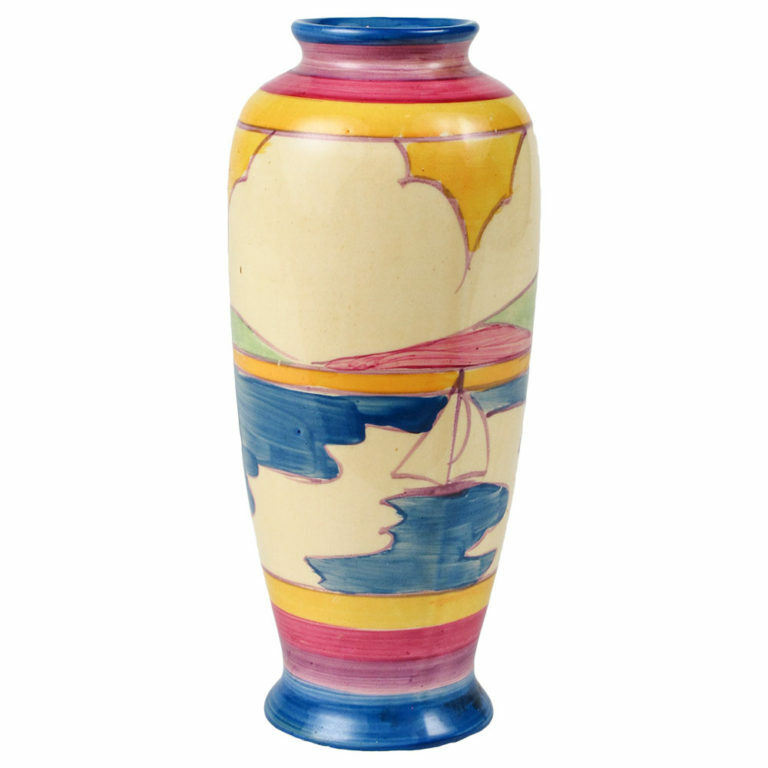 Wilkinson’s Newport Pottery was bustling with activity in the early 1930s and Clarice’s decorators listened to jazz music on the wireless as they painted Bizarre ware. 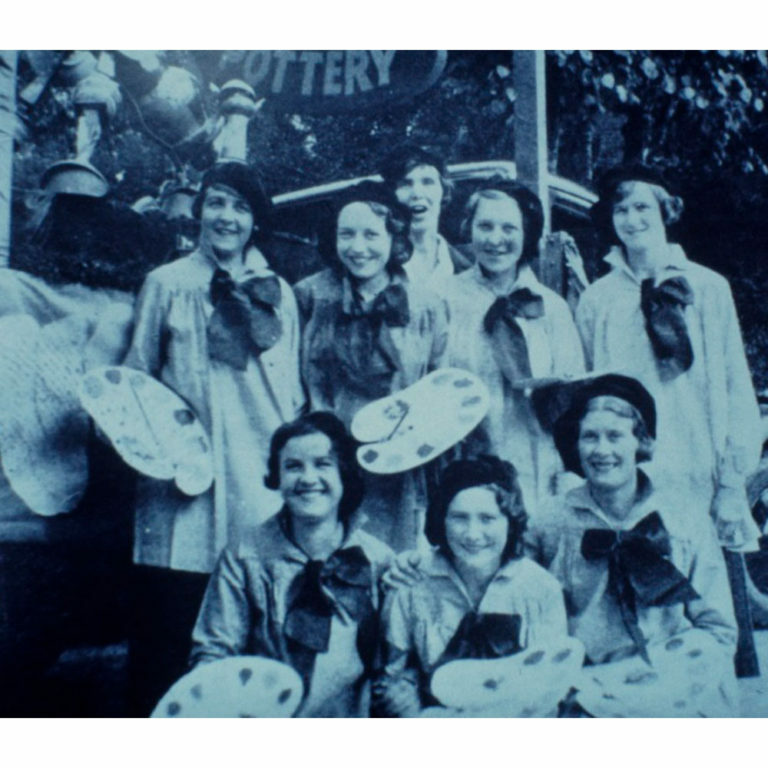 Hand-painting demonstrations by Clarice’s ‘Bizarre Babes’, dressed in artist’s smocks, floppy bow ties and Parisian berets, were held in china shops and department stores around Britain. Dazzling window displays encouraged shoppers to spend on Clarice’s ‘sunshine pottery’ at a time when other potteries were struggling. One of the most peculiar promotional displays was a pantomime horse built of Bizarre range pottery called Bizooka. Clarice courted all the media attention and became as famous as the celebrities who joined her for tea promotions with her exuberant designs. 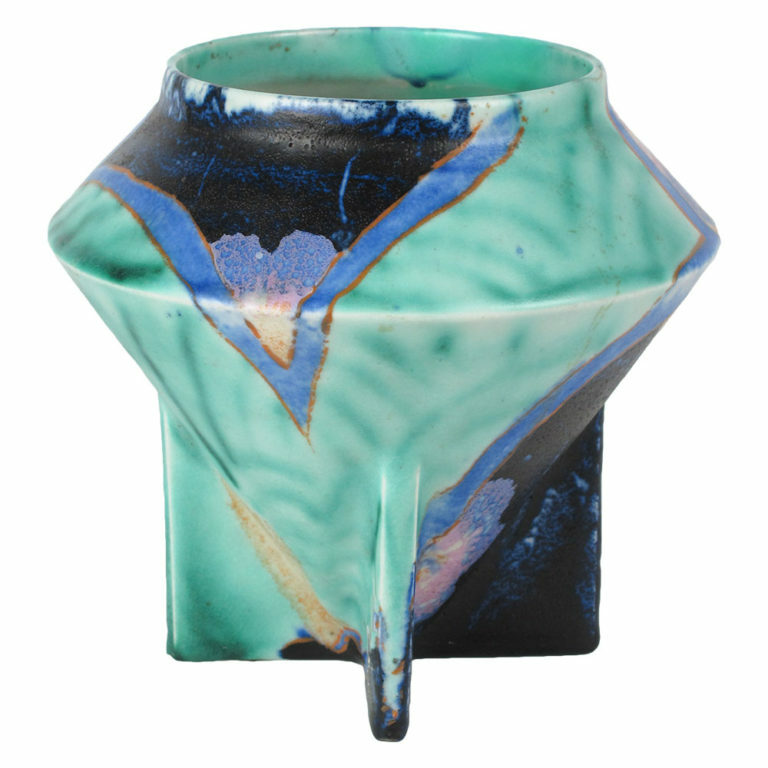 She was one of the few women in the pottery industry to reach superstar status. 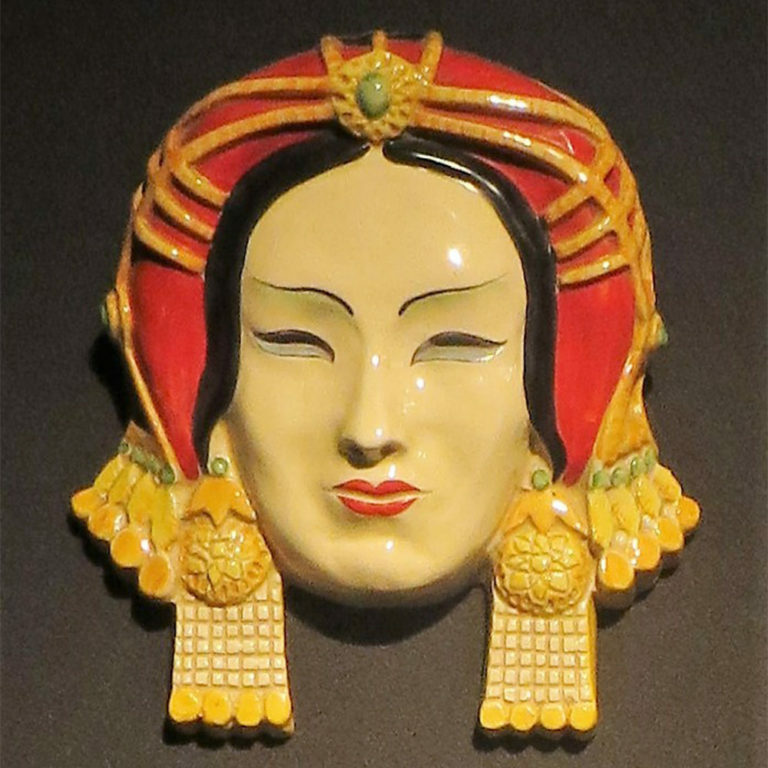 The outbreak of World War Two severely impacted the domestic tableware market in Britain and Clarice retired from design following her marriage to Colley Shorter in 1940 when his wife died. 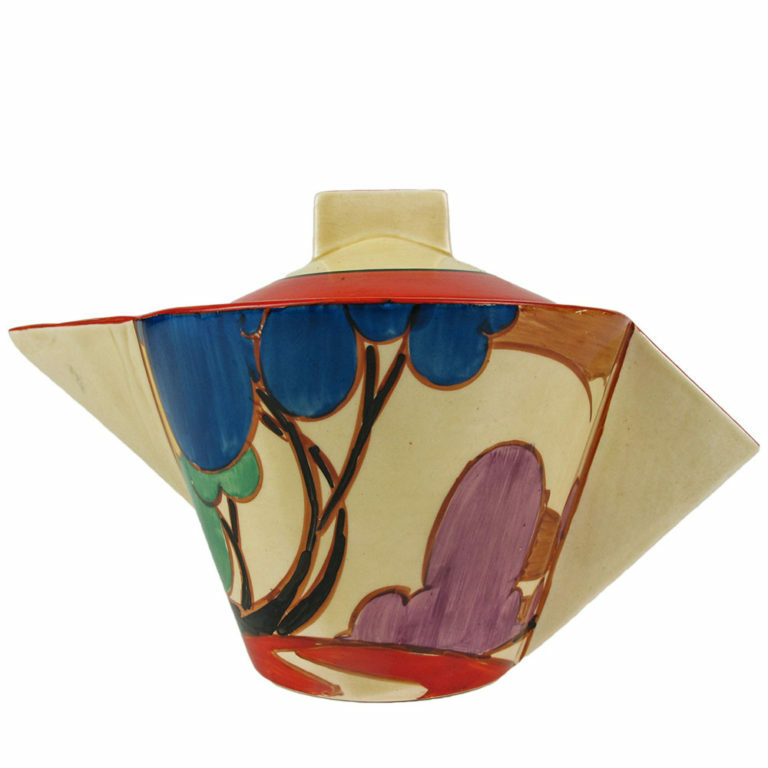 She lived to see a revival of interest in her work in the swinging 1960s, with the most desirable Bizarre patterns changing hands for thousands of pounds by the 1990s. Some contemporary critics condemned Clarice’s modern style as superficial and derivative and pointed out that her most extreme conical tea service shapes were impractical and difficult to hold. 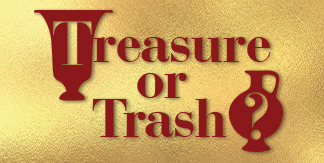 Others criticized Clarice’s self-promotion and her liaison with the boss. As she rose through the ranks, she became aloof from her decorating staff but despite the negatives, this ‘rags to riches’ Art Deco diva had an uncanny ability to produce the right goods at the right time. 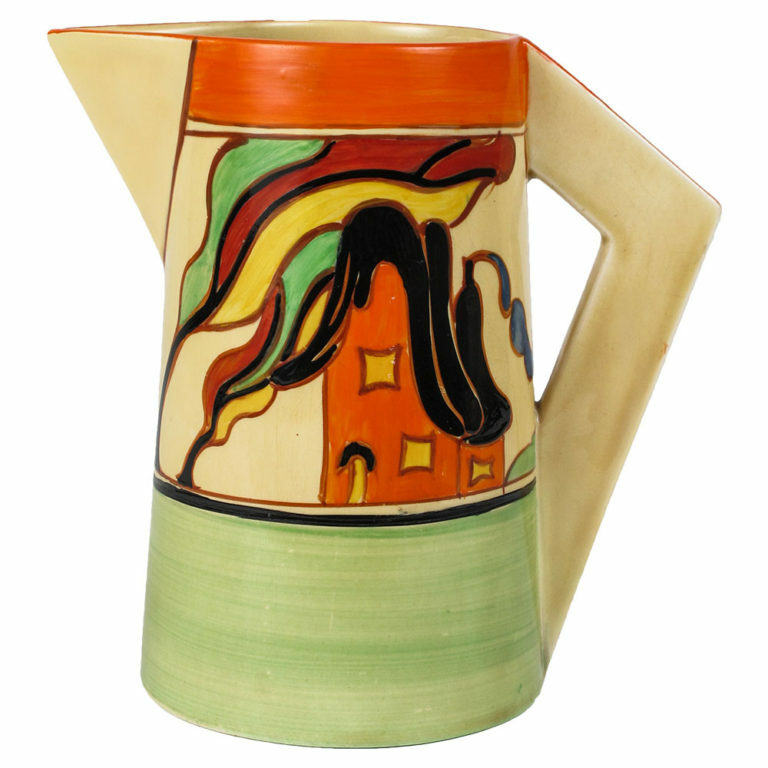 Enjoy Clarice Cliff’s striking Jazz Age designs at WMODA in the Art Deco gallery and Art of Tea Exhibition.